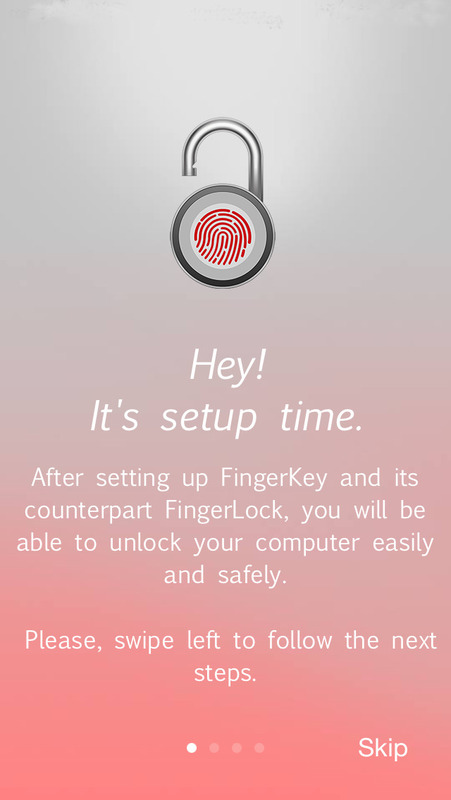 FingerKey let’s you unlock your computer without having to type your password every time. If you own a TouchID compatible device, use it to authenticate and unlock your computer safely and conveniently. Besides only connecting when it’s actually necessary, FingerKey also uses bluetooth 4.0 which has very little impact on your battery life. – Security: 256-bit AES encryption is used to store and transfer data between your phone and your computer. – Convenience: it saves you time as you can easily unlock your computer from a distance. – Scalability: FingerKey let’s you unlock multiple computers with no problem. – Speed: save time by accessing FingerKey from anywhere using its Notification Center Widget (Today Extension). – FingerKey is compatible with Bluetooth-LE capable devices (iPhone 4S onwards). – FingerLock is compatible with Bluetooth-LE capable computers (double check whether your computer has this feature before purchasing). – Compatibility with all screen sizes. – Pattern unlock (draw password/connect dots).